Every one of these days is going to offer so very, very much. It has been a LONG time since I last did one of these, perhaps because I haven’t felt the need. But this one is kind of topical. Nintendo just announced that it will be debuting its new Super Smash Bros game at E3 in a couple of weeks, and I fear that means this awesome game will be forgotten, if it isn’t already. 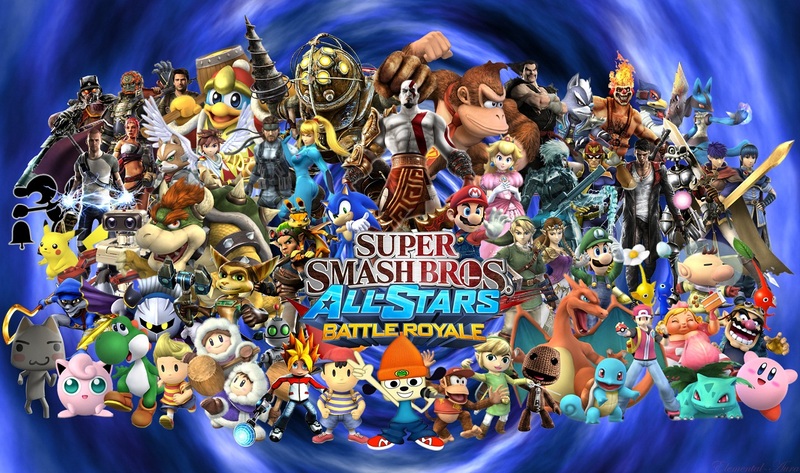 Playstation All-Stars Battle Royale is a shameless rip-off of the Super Smash Bros series. It looks and plays exactly the same; but with a HD graphical sheen to it. Because of this it makes little to no sense that it even exists at all, given that it cannot hope to compete with the sheer presence of Nintendo’s many, many recognisable characters. Crash Bandicoot and Spyro the Dragon aren’t even in it! What kind of self-respecting Sony mascot fighter doesn’t have those two? Also, the menus look horrible. The game isn’t worth anyone’s time. Playstation All-Stars Battle Royale launched last year in October for PS3 and PS Vita and it hasn’t quite sold as well as Sony may have hoped. Sure, it came close to the company’s rather low expectations and in that sense the game didn’t actually do badly per se, but it didn’t exactly do Smash Bros numbers. Of course it was never going to do Smash Bros numbers, but that was because of a whole range of factors ranging from budget to marketing to the cobbled-together nature of SuperBot, the studio that made it. But its very average sales performance had absolutely nothing to do with it being a bad game. Playstation All-Stars Battle Royale is not a bad game. It isn’t even a mediocre game. It’s a really good one, actually. Yes, the pun is too obvious. No, I don’t believe it is true at this point. So something pretty big happened this morning. Three months after Sony lifted the curtain on the Playstation 4, Microsoft finally unveiled its next generation gaming console, henceforth known as the Xbox One. The whole thing was done in under an hour and had a bit of an unfinished air to it. E3 is less than three weeks away, after all, and Microsoft probably felt like they needed to leave some content for their major LA keynote. As expected, the internet is abuzz with fanboy wars right now. Generalisations and melodrama are sweeping forums the world over. Most of them are declaring the PS4 the early winnner of the latest console ‘war’. Personally, I think that’s ridiculous. We just don’t know enough about the X1’s games yet -I shall be waiting until E3 before deciding which of the two consoles to pick up first. Now for a little gem that came out very late last year in Australia and got buried in the AAA blockbuster rush. It only came to my attention last month when it was available as a free download on Playstation Vita as part of the Playstation Plus service. I liked it so much that I tracked down a 3DS copy of the game so my Vita-less friends could play it. 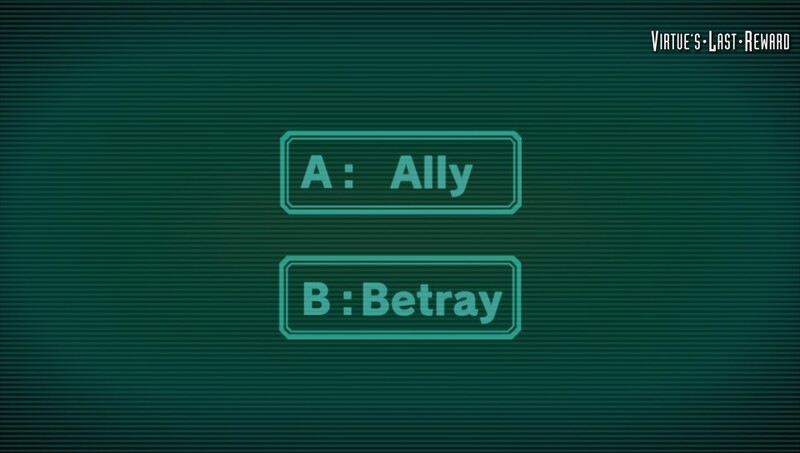 The first time I was faced with that terrible screen, forcing me to select either “ally” or “betray”, I stared blankly at the two options for what felt like hours. There were so many implications to that decision, so many permutations. What if my opponent betrayed me after I left myself open by choosing to ally? What if I was the one who betrayed a vulnerable player, bringing them that much closer to their death? Which option was worse? 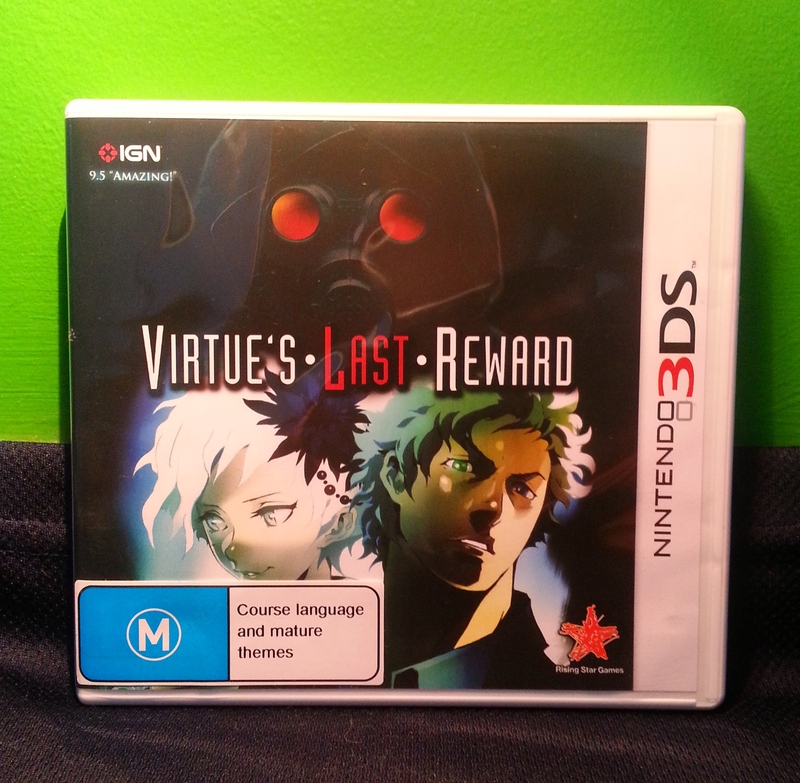 Such is the primary dilemna at the heart of the truly mind-bending Virtue’s Last Reward. Simple, but never, ever easy.